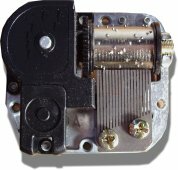 This is a 1 tune 18 note pull string music box standard movement. 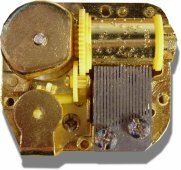 This movement is fitted in a white plastic housing so that the mechanism is protected should it be inserted in to a stuffed toy. 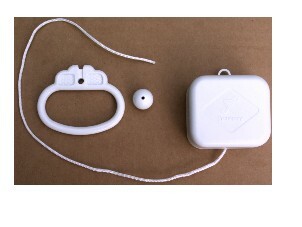 These pull string musical movements are often used in childrens cot mobiles and teddy bears etc. Please note that we have only the pull ball end available at the moment, we are out of stock of the handle type end. Approx Size 55 x 48 x 37 mm.